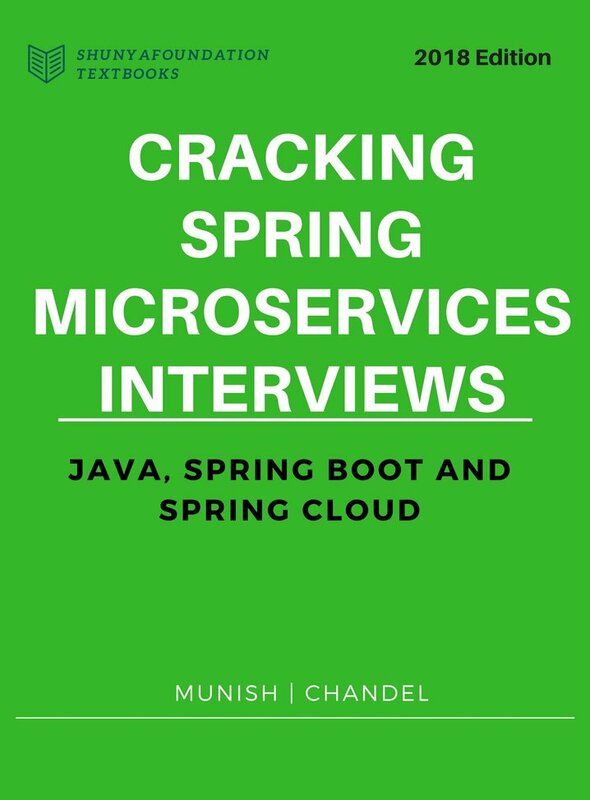 Microservices - also known as the microservice architecture - is an architectural style that structures an application as a collection of loosely coupled services, which implement business capabilities. The goal of the microservice architecture is to accelerate software development by enabling continuous delivery/deployment. What are key principles of Microservices Architecture? How are they different from a Monolith and SOA application? Small Services vs Microservices - what distinguished microservices from a small service? How to do authentication at API Gateway Level? How to protect OAuth2 clientId and clientSecret from a public client like Android App? How will you implement throttling of requests for a given client at API Gateway Level? What are four different grant types in OAuth2 password flow? Who is potential user for each one? What is a RefreshToken and AccessToken? How will you implement security for inter microservice communication using OAuth2? How will you move configuration for all microservices to a config server? How JWT different from a normal session based security? How long the duration should be for AccessToken and RefreshToken Validity? How will you design a eCommerce website using Microservices architecture at a very high level? How will you ensure that Android App does not burst network calls just to fetch the user sync data? How to club the multiple calls into single call? How to use cryptography for serving secure content to end user? How will you implement a Email Verification Microservice using Cryptography rather than a central database. Synchronous vs Async Communication between microservices? How to propagate security token from one microservice to another? What is eventual consistency? How to implement it correctly? What about SQS? How to implement 2 phase commit or distributed transactions in microservices? How will you ensure zero downtime during deployment? How often one should release Microservices to production? Can two microservices share the same database? How to communicate from one microservice to another? Figure out number of microservices in a typical e-shop? How to assign a random port to microservice on every run? Whats benefit? Good service doesn’t need information from another service, it already has it. All you need is services with right boundaries. Right boundaries result in services being autonomous, loosely coupled and highly-cohesive. The only way good services communicate is via events. Good services are eventually-consistent as well, so there are no distributed transactions. Always make GET/POST/PUT and DELETE operation idempotent because networks are brittle and replay of a certain network operation should not cause failure.